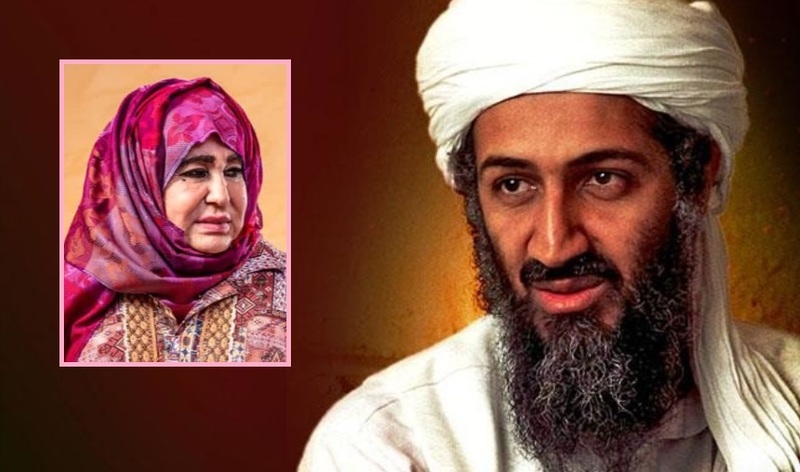 Osama Bin Laden's Mother Describes Him As "Good Child"
Nearly a decade after her son's death at the hands of American commandos, the mother of the mastermind of the September 11 attacks has come forward to offer some insight into her relationship with her son Osama Bin Laden. Alia Ghanem spoke to British news outlet the Guardian from her home in Jeddah, Saudi Arabia and described her son as a shy and "good child". Ghanem blamed her son's fate on the "brainwashing" he received at university and revealed the last time his family saw him was in 1999, just two years before the 9/11 attacks. Bin Laden planned the attacks on the World Trade Centers from Afghanistan where he founded al-Qaeda. By 1999, Bin Laden was considered a major global terror suspect. He initially moved to Afghanistan in the 1980's to fight the invading Soviet forces. "We were extremely upset. I did not want any of this to happen. Why would he throw it all away like that?" Ghanem said referring to the moment she learned her son was a jihadist militant. She also described the Muslim Brotherhood that Bin Laden was a part of as a "cult". The Bin Laden family remained one of the most influential families in Saudi Arabia after gaining a fortune in construction. Mohammed bin Awad Bin Laden, Bin Laden's father, had over 50 children and divorced his mother three years after giving birth to him. The Saudi Government interrogated the Bin Laden family after the 9/11 attacks and limited their ability to travel. Bin Laden's mother wasn't the only member of his family present at the interview, his two brothers Hassan and Ahmad also spoke to the Guardian and described their shock when they learned of his role in the tragic acts of terror against innocent Americans. "From the youngest to the eldest, we all felt ashamed of him. We knew all of us were going to face horrible consequences. Our family abroad all came back to Saudi," Ahmad said. He also described his mother as being "in denial" about Bin Laden even 17 years after the horrific attacks. first of all. Obama didn't kill Bin Laden. it was a hoax. secondly, Bin Laden had NOTHING to do with 9/11 which was an inside job done by BushCo and the CIA. 9/11 was a Mossad false flag to get the goyim to establish Greater Khazaria for the kikes.